Relish the good life with Comfortflo’s Premier 7236 bathtub. 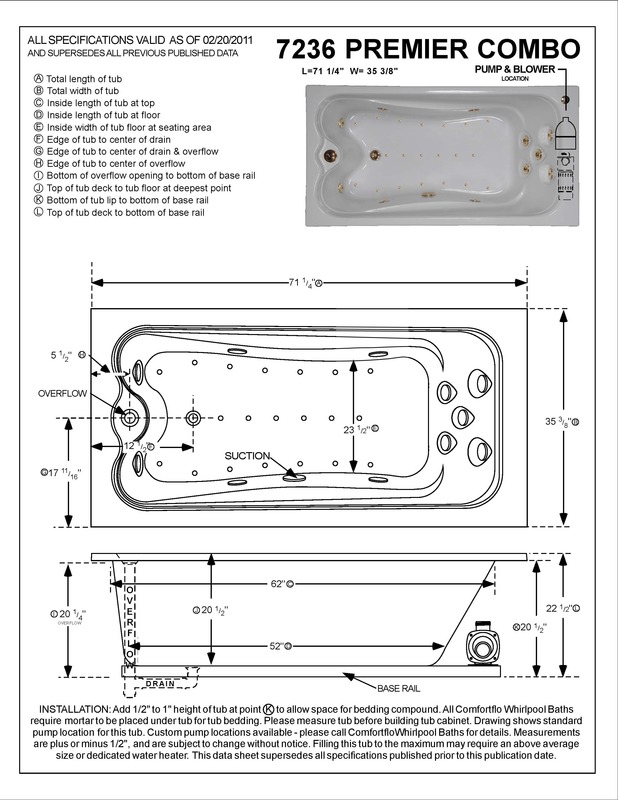 Convert your bathroom from ho-hum to spectacular with the spa grade hydrotherapy provided by this combination tub. At six feet in length, even the tallest bather can relax with ease. Because of our signature Top Overflow installed on the deck, you can fill the tub almost to the top, permitting full submersion in the healing waters. 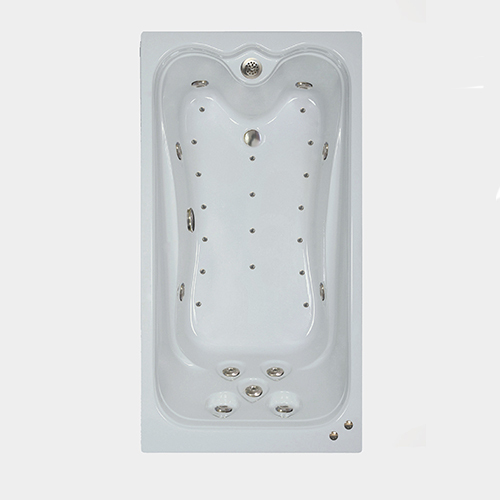 Eleven whirlpool jets are arranged around the tub for optimum deep body massage; five are dedicated to your back alone. Eighteen air injectors in the tub bottom add invigorating bubbles to the mix. The backrest, armrests, and foot wells are ergonomically designed for your comfort. And the tub base is reinforced with galvanized steel, so it won’t sag or buckle. The Premier 7236 combination tub is characteristic of our other tubs in the Premier line—impeccable quality and innovative design. •	Shipping weight: 150 lbs.